Accidents and injuries occur quickly and at any time, even serious or life threatening. The ambulance has to be present within 15 minutes. Until then, you can help a victim and maybe evensave lives. Follow an English First Aid course in the Netherlands, and get a internationally recognized certificate. 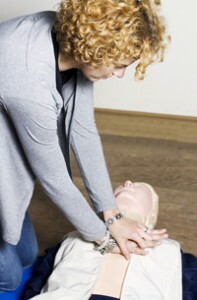 From 6 students Eerstehulpinternationaal.nl provides a first aid course at your office (Incompany). Or sign up individually at one of our course locations throughout the Netherlands. All first aid training materials are fully up to date with current UK Resuscitation Council guidelines for basic life support and NHS Guidelines for first aid recognition and management of sudden illness and injury. And also with the current European Reanimation, First Aid and Nikta (for childminders)guidelines. 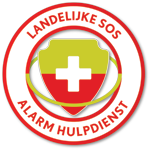 The course Eerstehulpinterntaionaal provides you with a First Aid International ™ certificate which is a valid First Aid qualification and is internationally recognized and known. If you have another certificate please contact us since a cross over for a refresh course is possible in most cases. Practice skills are most important during the course. In small groups we practice the various lifesaving skills extensively. All registered first aid instructors and assessors are kept up to date with any new or revised protocols such as resuscitation guidelines or first aid procedures. 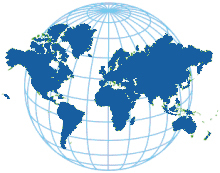 We can organize the courses First Aid International™ worldwide. 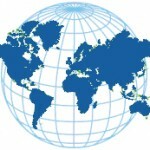 This certification is internationally recognized and known. You can follow the course throughout the Netherlands.